Late Sunday night, around 10:30PM, father and daughter activists involved in the resistance against Tahoe Resources’ Escobal Mine, Edwin Alex Reynoso and Merilyn Topacio Reynoso, were attacked by unknown suspects. Alex and Topacio were on their way home from Matequescuintla after attending an activity there. Topacio was shot and killed; Alex was severely wounded and remains in intensive care. While details of the attack against Alex and Topacio remain unclear, the incident forms part of a larger pattern of recent violent acts and intimidation against those who defend their right to life and territory. Out of the ongoing repression and criminalization of peaceful communities, resistances across Guatemala have united to denounce the reality in which they live and demand respect for their human rights. The current government headed by President of the Republic Otto Pérez Molina has increased violence in order to comply with commitments made with the oligarchy and transnational companies. The acts of terror, repression and criminalization during his administration can only be compared to the military violence enacted during the counterinsurgency war against our people. Said repression is directed toward pacific social struggles that indigenous peoples and social organizations maintain in defense of territory. This policy serves the diverse interests of transnational companies behind the mining extractive industry, hydroelectric dams and monoculture crops. This past year, community leaders, women, men, youth, small children, and social leaders have been subject to many human rights violations, including states of siege, provocations, intimidations, threats, legal persecutions, illegal detentions, abductions and even assassinations of community leaders. In order to carry out this repression, the government has made available all state agencies to protect the interests of transnational companies, ignoring the first principle of its mandate which is to protect and guarantee life to the people of Guatemala, with the common good being its supreme goal. Communities like Monte Olivo in Cobán, Alta Verapaz; Sierra de las Minas in El Estor, Izabal; San José del Golfo; San Pedro Ayampuc; San Rafael las Flores; Mataquescuintla; San Juan Sacatepéquez; San Miguel Ixtahuacán; Sipacapa, San Marcos; Santa Cruz Quiché; and Santa Cruz Barillas, Huehuetenango represent some of the communities that are persecuted and attacked. 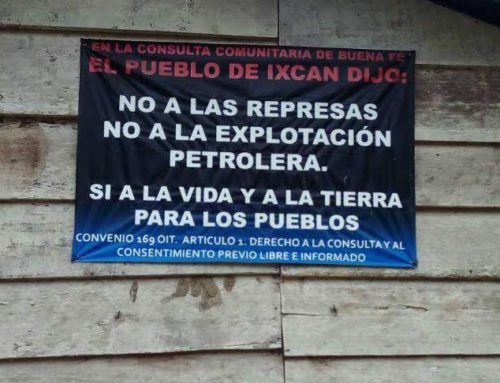 The 12 communities of San Juan Sacatepéquez, since 2006, continue their strong struggle in defense of territory against the arrival of the cement company in their communities without their consent, as indicated by law. The company, [Cementos Progresos], threatens to construct a highway to connect the cement factory to the InterAmerican Highway…. The Xinca People have been subject to all human rights violations described above. In 2013, a state of siege was established in the department of Jalapa, affecting the indigenous communities of Santa María Xalapan and Mataquescuintla, and the municipalities of Casillas and San Rafael las Flores in the department of Santa Rosa. 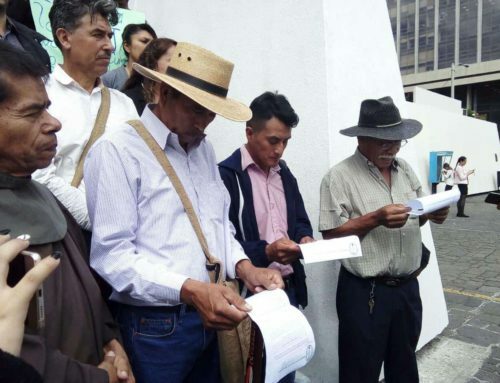 This type of measure, similar to those in Santa Cruz Barillas, Huehuetenango and San Juan Sacatepéquez, demonstrates diverse human rights violations to men, women and children…. 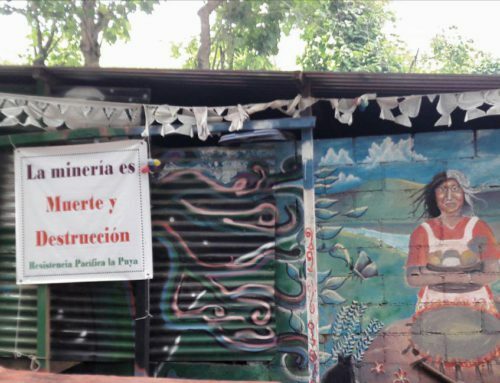 San José del Golfo and San Pedro Ayampuc, last March 2, commemorated the second anniversary of the “La Puya” peaceful opposition, an example of resistance, struggle and love in search of the defense of water, life and territory. 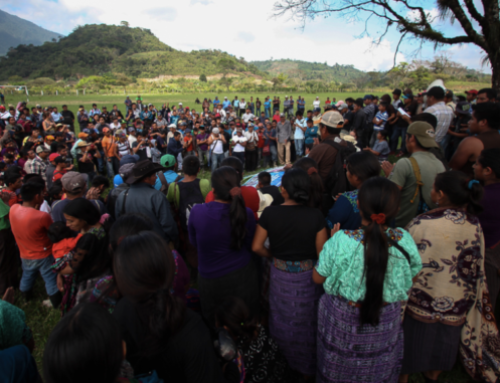 Recently, the La Puya peaceful resistance was subject to new attacks and confrontations by the mining company, with intimidations and under the protective arm of the National Civil Police (PNC). The community members, who have exercised their legitimate right to pacific social protest in defense of territory, continue to fear eviction by the PNC…. The community “Ninth of February” in the region of Monte Olivo in Cobán, Alta Verapaz, this past April 8, was witness to a new attack on community leaders by large-scale farmer Sandino Ponce and his armed security guard, who wounded five men, one boy and a pregnant woman…. The Campesino Unity Committee (CUC) has suffered a series of attacks that total 44 assassinations amongst members of its organization between 2000 and 2014. Since 2011, assassinations, threats, forced evictions, criminalization, detentions and imprisonment have increased. Smear campaigns, defamation and slander join these techniques that try to delegitimize 36 years of struggle…. That the Human Rights Ombudsman’s Office, the High Commissioner’s Human Rights Office, CICIG, including the InterAmerican Commission on Human Rights of the Organization of American States, speak out and demand of the Guatemalan state that it fulfill its obligation to guarantee the right to life, physical integrity and other fundamental rights to the Guatemalan people, before this new repressive attack by clandestine groups and private security companies that generate abductions, death threats, assassinations, threats and intimidations against our communities. That the Human Rights Ombudsman’s Office monitor, accompany and protect the physical integrity and life of the families that find themselves threatened and persecuted, and also protect human rights defenders and those who defend Mother Earth. That the government of Guatemala immediately withdraw National Army forces from the communities in resistance, we especially demand withdrawal from Santa Maria Xalapan and San Juan Sacatepéquez. The closure of extractive industry companies and the termination of turning over national territory to the hands of transnational companies. That international human rights organizations, indigenous organizations, peasant organizations, women’s organizations, unions and solidarity groups not be surprised by defamation campaigns and slander. These campaign principally aim to criminalize communities and organizations in order to delegitimize them and facilitate their criminal prosecution. 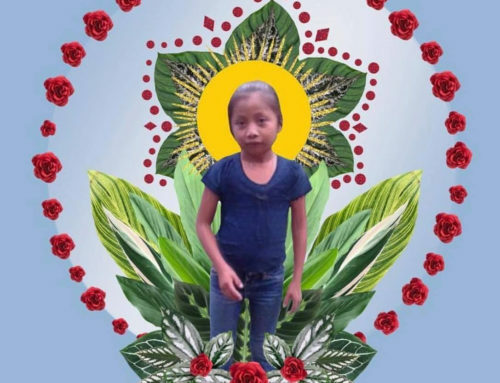 In these moments, in which we are once again living massacres, abductions, assassinations, states of prevention and states of siege, similar to wartime but with elements of criminalization and criminal prosecution, we demand launching a visibilization campaign of what happens in our country and more importantly, a campaign of permanent solidarity. Stand in solidarity with the peaceful resistance at La Puya, which was threatened by heavy machinery and riot police last week and continues to fear eviction.